Booysens specializes in the design, supply and installation of turnkey projects. 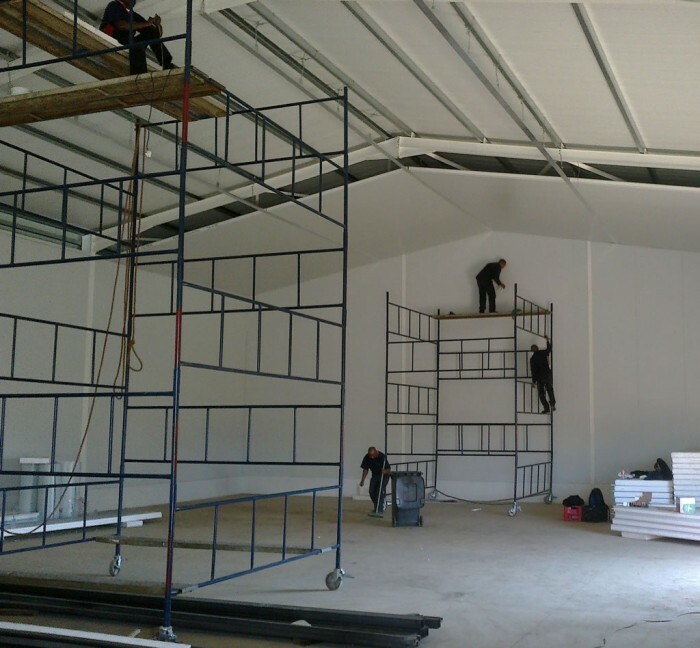 Our in-house experienced professional team allows us to service all aspects of a project. Booysens Refrigeration along with Just Chill is equipped to carry out a wide array and scope of works for applications falling within the HVAC&R arena. Booysens primary area of expertise is commercial and industrial refrigeration, specializing in the applications of abattoirs, process plants, supermarkets, dairies, hatcheries, cold storage to mention a few. The systems utilized in order to carry out the above scope of works includes but are not limited to some of the following ; multiplex, simplex, modular pack, packaged units, chillers and standard conventional refrigeration. The key focus in all aspects of our business is energy saving plants and systems; thereby we utilize the most recent technology available. Booysens services extend to include the applications of air-conditioning, heating and ventilation. We have carried out these scopes of works in the following applications ; office blocks, supermarkets, process plants for cultured products, bakeries, butcheries, production factories, farms, schools and hospitals to mention a few. Within the heating spectrum some of the newer featured products and scope of works to be introduced is the utilizing of existing energy generated from various aspects of an installation, in order to capture this heat and utilize it for hot water systems for energy saving purposes. The main purpose of utilizing this energy is to save electricity consumption. Our systems are Eskom approved. Some recently completed projects include supermarket hot water systems, process plants and boarding school establishments. Booysens is equipped with the skills and knowledge to carry out under-floor heating systems, for both house-hold and factory applications. These systems are installed coupled up to a heat pump, and for additional energy saving can be coupled to a solar system. We have a dedicated cold & freezer room panelling installation crew. Some of our recent installations include the building a complete factory out of cold room panelling. We have carried out scope of works that are in excess of 8000m2 of panelling, with a single panel height of 22m. These buildings include the installation of fire-proof panel walls according to SANS. Booysens Refrigeration offers the design, supply and installation of new applications, as well the retrofitting and revamping of existing systems. We have a dedicated service, repair and maintenance department, in order to maintain and service the new or existing plant, in order to ensure it runs at its designed and optimum conditions.